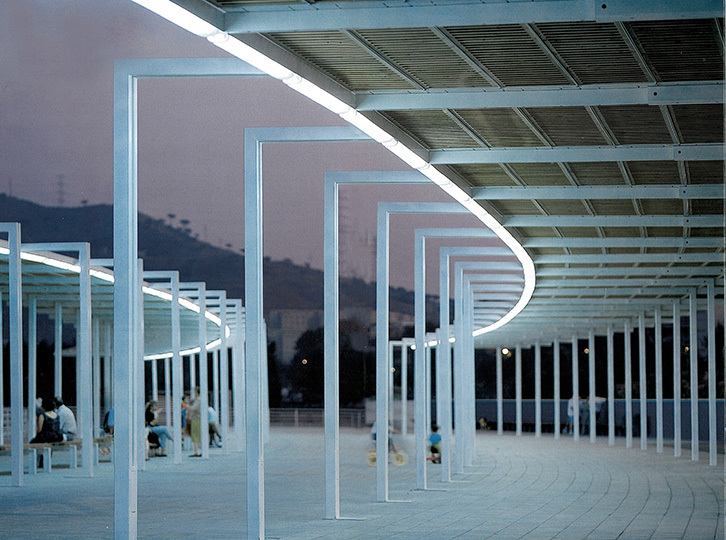 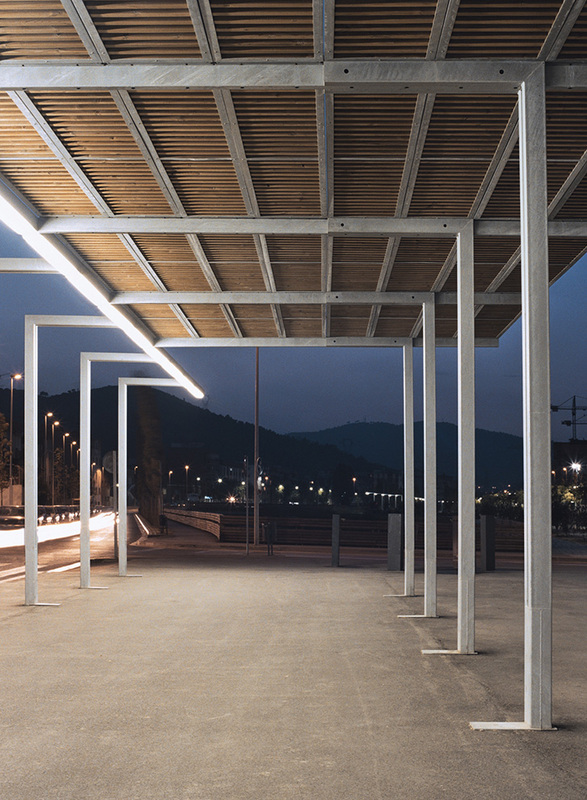 A very simple, functional modular pergola that has evolved from the Via Láctea street lamp. 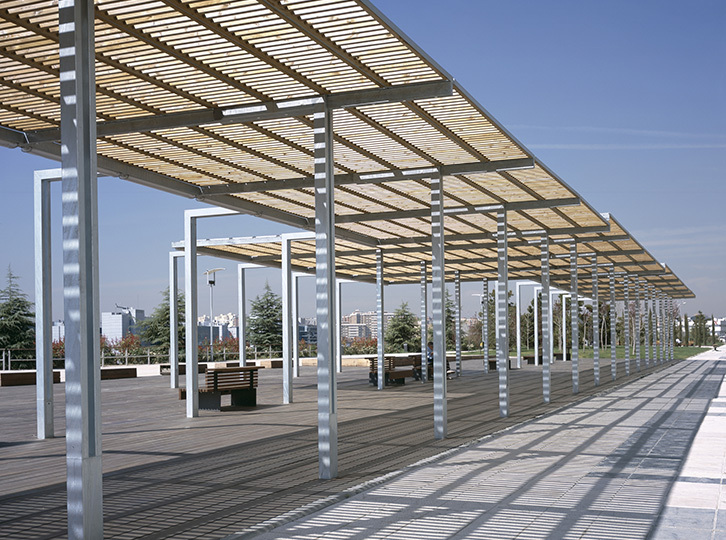 Its wooden slat cover creates a pleasant shaded area during the day and at night the space is lit by a line of light along one end. 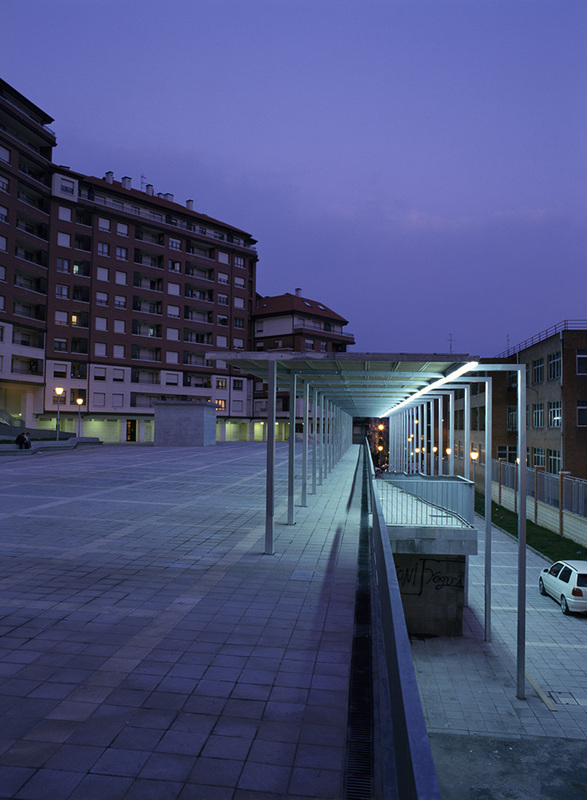 Its modular structure makes it highly adaptable to all kinds of space.